Helloooooo, Saturday! 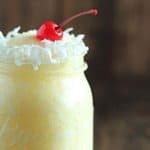 Today I’m sharing a crazy easy (and delicious!) 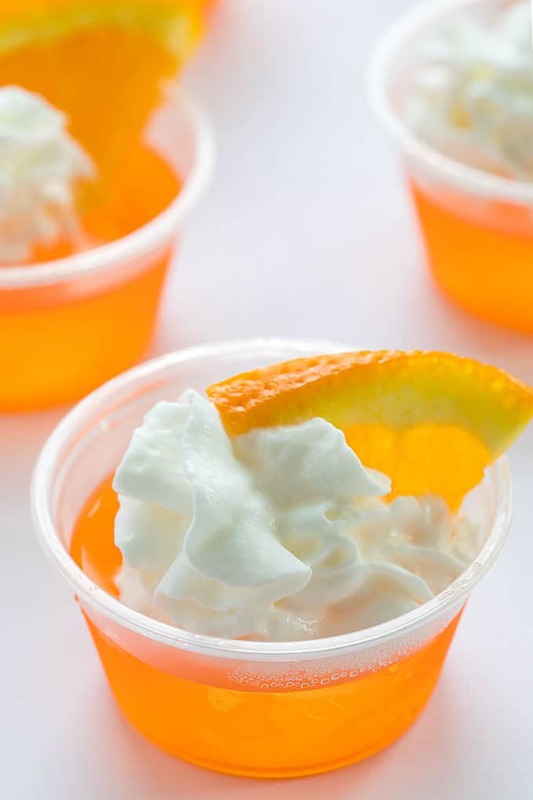 adult treat for the weekend: Orange Creamsicle Jello Shots. 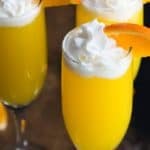 Oh how I LOVE the flavors of orange and cream! 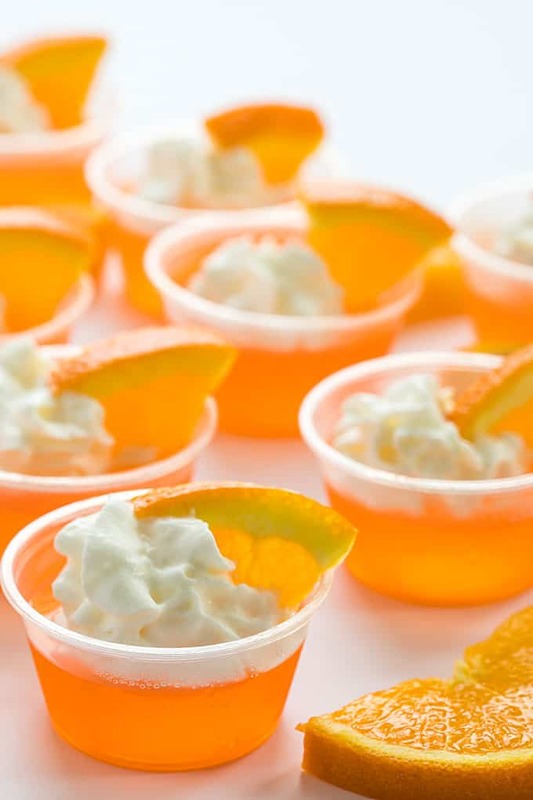 These little jello shots are so easy to whip up and are always welcomed at adult gatherings. 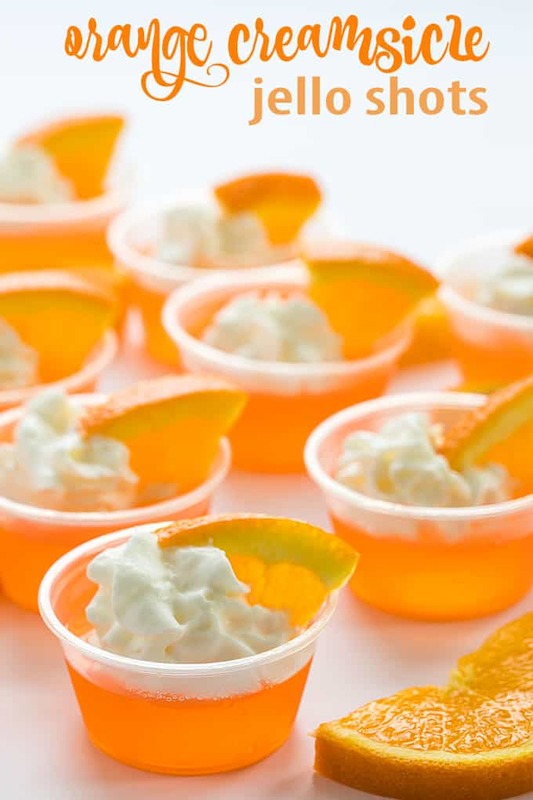 Top them off with whipped cream and a tiny orange slice to make them even tastier. 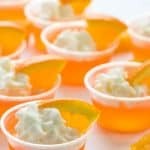 What will I need to make Orange Creamsicle Jello Shots? 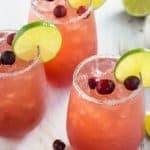 These are so easy to make and guaranteed to be a crowd-pleaser… enjoy! 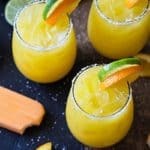 An easy adult treat that tastes just like an orange creamsicle! Empty jello packet into a small pitcher. Add boiling water and stir or whisk until jello is dissolved. Add vodka and cold water. Stir or whisk until combined. 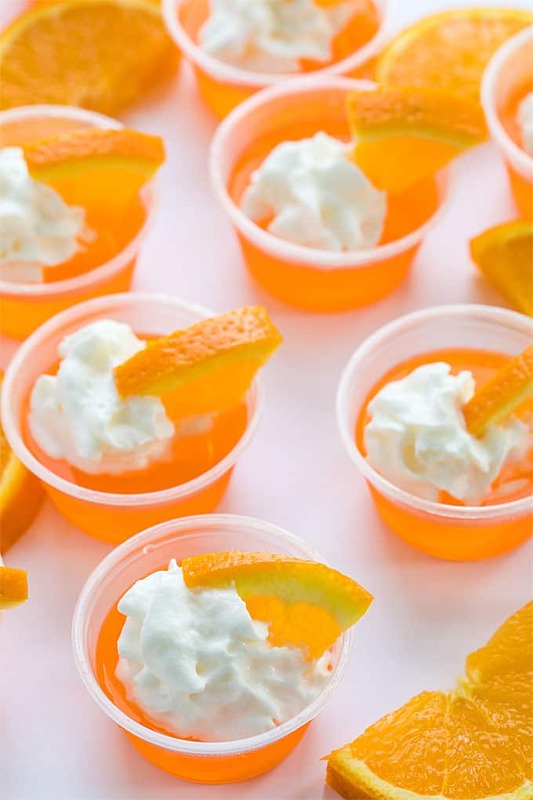 Pour into shot glasses. 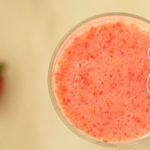 Cover and refrigerate for 3-4 hours or until firm. Just before serving, top with whipped cream and a small orange slice, if desired. 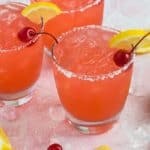 I’ll be making these for an upcoming cookout! How many will one box make?